I love to ride my bike. In my busy schedule, most of my time on a bike happens on my 18-mile (round trip) work commutes, which I try to make time for at least once a week. I figure I bike about 25 miles a week and close to 1,500 a year combined with mountain biking and little trips for work and errands. I don’t log all the miles, so this isn’t exact science. I’m not encumbered by a ton of analytical gear that measures all the beneficial work I’m doing on my bicycle. I know I’m saving gas money and taking what would be an auto commute (25 minutes) and stretching it into a 40-minute workout. Efficiency is a key to surviving for a busy parent. 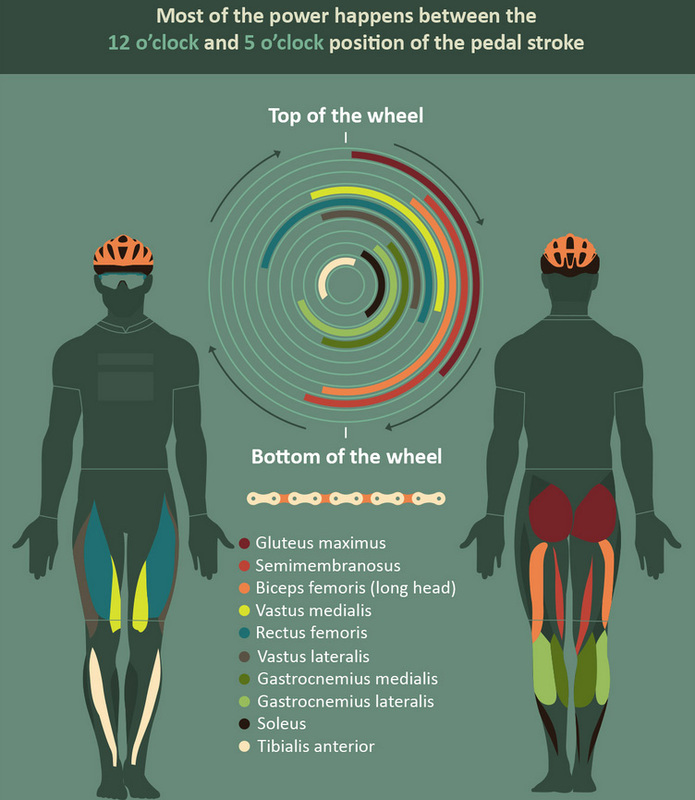 To help me figure out how beneficial my bike rides are, the folks at FIX designed an info graphic with plenty of great details on how biking affects the body. The graphic shows many of the health benefits of riding a bike, what happens to your body while riding a bike, and even how to build strength when off the bike. As I age, I’ve noticed that I can’t finish All Of The Food anymore. My father used to joke “Don’t they feed you up there?” when I’d come home from college and eat everything. I don’t like to waste food, but I’ve certainly learned that I cannot burn it all as fast as I used to and need to have a plan for burning calories if I’m going to enjoy a huge meal. Low impact is the key for me. I’ve had the ACLs in both of my knees reconstructed and now prefer to not accelerate the demise of those joints with high impact sports like soccer, like I did for the first 40 years of my life. My recent stress test at work revealed that I could stand to lower my blood pressure. Thus, more time for biking, the elliptical and I’ll be mixing in a few more salads. Most of that information is easy to digest. But I was particularly impressed with the information about what happens to your body on a bike. The main muscles worked and at what point of each pedal stroke the muscles are being worked. See the FIX article for the full information.